I’ve been taking quite a few trips to Ulta lately with the intention of finding new products to try instead of restocking empty ones. I am also transitioning my skincare from “my skin is so dry I need to bathe in cocoa butter and lip balm” to a lighter, spring/summertime routine! I have really dry skin in general, so I use hydrating products all year round, but I do switch from heavier products to lighter ones. I only like when my skin looks really dewy (when do the Kardashians NOT look dewy and glowing). I wanted a facial mist I can spray on my beauty blender to blend my make-up to look extra glowy and I found this gem! There are other face mists that are popular like the new Farsáli Rose Gold 24K Skin Mist and Tatcha Luminous Dewy Skin Mist but I was in Ulta and those are only in Sephora. It is not an oil despite it’s moroccan oil color. It’s just a regular water based formula, so it makes your skin look and feel hydrated. I also really like how evenly it sprays and how fine the mist is! Bonus points that the ingredients are natural fruit oils and acids! I got this as a splurge for my birthday and I love this mascara as much as I love my L’oreal ones. I never thought I would EVER change mascaras, but ohhhh wow. 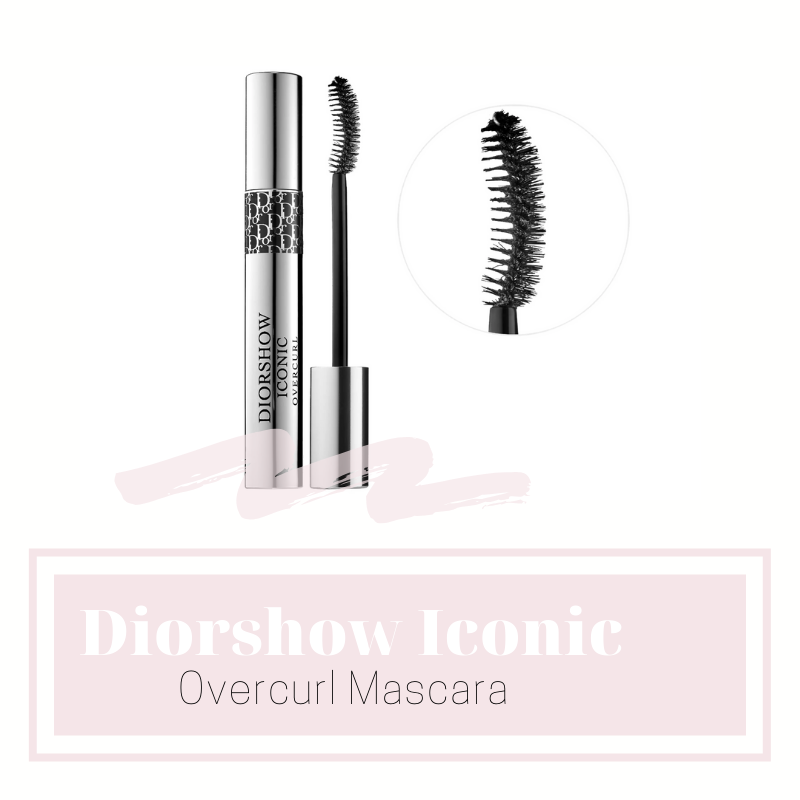 I think, for me, the wand is what makes this apply so beautifully and the formula is creamy which I have never experienced with a mascara before. That prevents little flakes from coming off and falling onto my cheek/under my eyes throughout the day. I love a red lipstick. They’re timeless and so gorgeous. I wanted to add another one to my small collection and I went with the shade 999 Ultra Dior - Iconic Red. 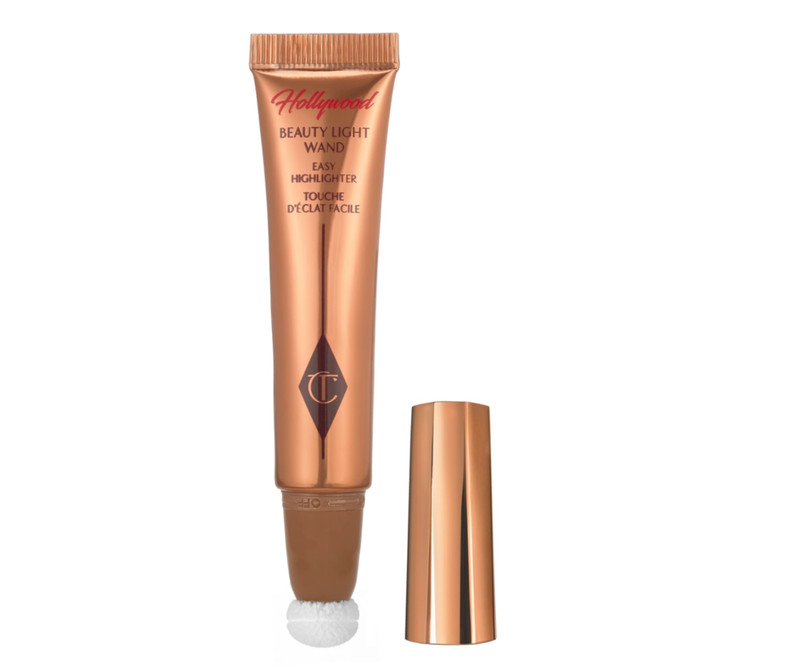 It compliments my skin tone perfectly I’ll be able to wear it when I have a little bit of a tan because the undertones of the shade are very versatile. This can easily be brightened up with a coral lipliner as a base or deepened with a plum colored lip liner! Hi my name is Gabby and I have THE WORLD’S DRYEST SKIN. My face, hands, lips, always dry. I carry around hand lotion and chapstick everywhere I go and I have tried every chapstick, lip balm and I haven’t found anything that really relieved my dry lips. And before you say anything, I am up on my water drinking. I am not kidding I started to do actual research. What are ingredients that dry out your lips? What are hydrating ingredients? Why do I constantly have to re-apply chapstick? One day deep into my explore page on Instagram I stumbled on a post about Lanolips and it answered every single one of those questions. What makes this product different is that it’s made with lanolin and this actually sinks into your lips and hydrates them. Products like Aquaphor (petroleum jelly) are meant to be used just as a barrier for already hydrated lips. So, a lot of chapsticks are only helpful if you already have juicy, hydrated lips. Thank you for coming to my Ted Talk. Since I did a post about my fall fashion picks, I thought I'd honor my first love, beauty, and do a fall beauty picks too! Ask me if there is anything more exciting to me than going to Sephora. Go ahead, ask me. Even though my skin gets really dry once it starts to get chilly outside, it gives me a little burst of excitement because I know it's time for my colder weather skincare products & routines. I love getting out of the shower and putting on my favorite lotions, moisturizers, and serums. I hands down feel my best self after I do that. I think as the seasons change, it's necessary to switch up the beauty products you use to best suit the environment you're in. I've developed very sensitive skin over the last 6 months or so to the extent that I can't use certain shampoos and conditioners because they make my forehead breakout. So as much as I love trying out new products, I am very aware of ingredients that might cause my skin to flare up. I truly believe in investing in high quality skincare products because your skin is all you have at the end of the day. What I mean by that is you could buy all the makeup in the world, but none of it will perform properly or look its best if you don't take care of your skin. Skincare first, makeup second! Also if any of you guys have these products, please let me know how you like them! With that being said, here are my fall beauty product picks! I have seen so many YouTubers rave about this and I personally love facial products like this (like rose water, micellar water, facial sprays!). What this product claims it does is provide anti-pollution & antioxidant protection, increase skin's luminosity, refines the appearance of pores, improves elasticity, smooths skin’s texture, boosts skin’s healthy tone, provides 24-hour moisture, and is powered by kombucha. So what I'm hearing is that it's a genie in a bottle. I picked up a Marc Jacobs regular lipgloss a few months ago and I fell IN LOVE!!! It is so smooth and creamy and I love the subtle color it gives your lips. When I saw Marc Jacobs released a new lipgloss stick.........as if the gloss couldn't get any better AND THEN IT DID! I am a chapstick freak (I have my purse chapstick, car chapstick, downstairs chapstick, upstairs chapstick, backpack chapstick, do you see where I'm going with this?) and this is a hybrid chapstick lipgloss it's like my prayers have been ansered. Need I say more. And let's be honest I am more than likely going to end up buying the face master brush collection too. Please don't judge me since I am sooo tardy to the party on this palette. Better late than never, still coming to the party! DO NOT SHAME ME! I have known about this liner for years and years, but I go in & out of phases of wearing winged eyeliner so I have never picked this up. I've always used Maybelline Felt Tip Eyeliner (they definitely repackaged it, I haven't tried this version so the formula might have also changed). However, last time I was in Sephora I did a little swipe of this on the back of my hand and I was sold. It's so beyond smooth I don't even know how to describe it but it's everything you could ever want in a liquid liner. I've been admiring this from afar for over a year now (it's $38 for this little tube gahhh). You squeeze the tube and the liquid highlighter will come out on the puff, so you can easily swipe it on. It's a really good idea and perfect for traveling because there's no need to pack a highlighter and then a separate brush. Maybe I'll treat myself if I accomplish something noteworthy. Jaclyn Hill mentioned this in one of her favorites videos and I fell in love with this shade! I always play it super safe when it comes to lip colors, so this bold color will give me a chance to have some fun and step out of my comfort zone. 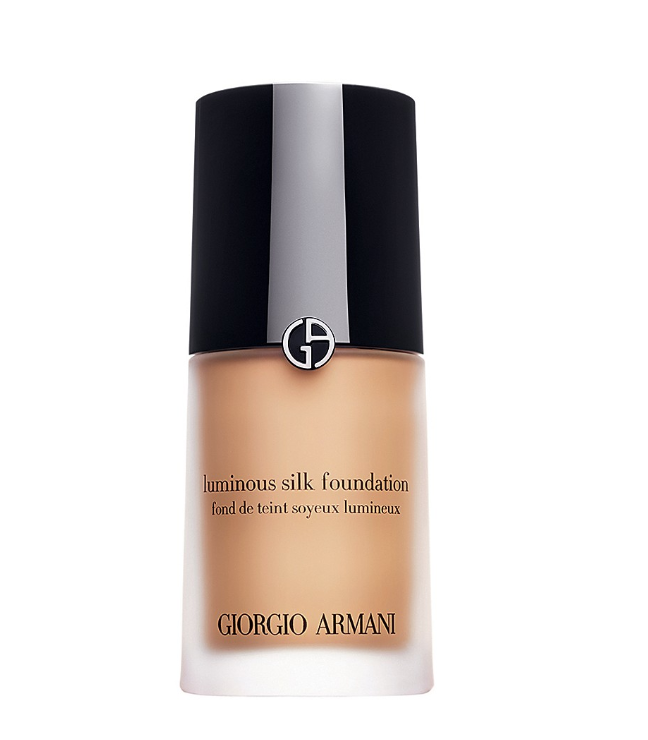 Once the seasons change, I switch from tinted moisturizer to foundation! This is something I only started last fall/winter because I want that extra coverage since I am getting less sun in the fall. I also feel like my skin looks less vibrant and making that switch to foundation helps bring the life/flush of color back into my face! I watched Lucy Hale's everyday makeup essentials video last year and she uses this foundation and I'm obsessed with her. (One time I saw Cady Heron wearing army pants and flip flops. So I bought army pants and flip flops). But Jaclyn Hill uses this foundation?!?! TORN. What I do for fun is try and pick my shade online and then go into Sephora and see if I was right. If I was right, I win and buy it. If I was wrong, I ask one of the makeup artists to match my shade and I still buy it! Win win! I've heard really great things about this! It's become a holy grail product for a lot of influencers. One of my favorite YouTubers, Tess Christine said she loves this and she has sensitive skin as well. Clinique is a brand I have not bought many products from, so I am excited to try this! I read that Ariana Grande uses this?! Even if that's not true, the possibility that she even might use it is enough for me to want to buy this haha - there are several cleansers from Lancer for different purposes and they all sound great! One solely for cleansing, one for blemish control, and one for exfoliating!